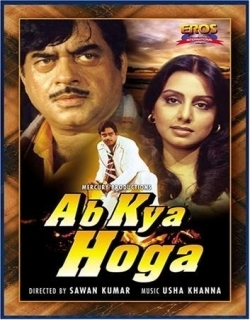 Ab Kya Hoga is a 1977 Indian Bollywood suspense, thriller, social film released on Jan 01, 1977. The film is directed by Sawan Kumar, produced by Sawan Kumar. 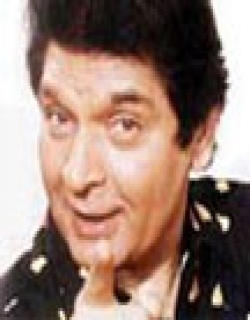 Ram Sinha comes from a wealthy family. His mother would like him to get married so that their family can have a heir. Ram entrust's this job to his mother, and let's her decide who he should marry. 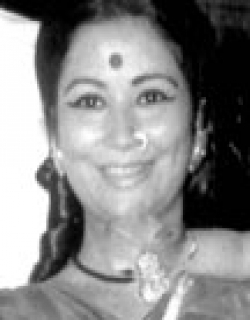 Ram's marriage is arranged with a beautiful young woman named Chitralekha. After the marriage, Ram accuses Chitralekha of being inhuman, a ghost, who is out to kill him. But Chitralekha denies this, and pledges her lifelong love for him. Ram, his friend, Rajesh, and his wife decide to travel elsewhere, but no matter where they go, they see a ghostly apparition of Chitralekha following them everywhere. Ram subsequently finds out that Chitralekha had lost her lover in a previous life, and has taken form in this life to kill him so that they can be together forever. Shortly thereafter Ram is killed in an car accident. The police are unable to identify his body as it is burnt beyond recognition. It is after Ram's death that the truth surfaces. But will this truth benefit Ram and Chitralekha? The film throws in concepts of ghosts, rebirth and wandering soul enticing the living, to crete an aura of suspense. The conspirators to cheat a young millioaire create a myriad problems before him in the shape of a beautiful girl, who claims that she was his betrothed in his past life. The guilty are caught and punished and the hero is united with his real betrothed whom he had all along considered as a ghost. Check out this page for more updates on Ab Kya Hoga. This page provides latest and updated information about Ab Kya Hoga (1977) movie which released on Jan 01, 1977. Ab Kya Hoga (1977) is directed by , produced by , starring .We have also provided 0 trailers and videos, 3 photos, 25 user reviews, and 0 critic reviews.Ab Kya Hoga (1977) has received 1 rating from user reviews.The overall rating of Ab Kya Hoga (1977) is 20 and movie is 1.You can review, like, dislike this movie and also can add to favorites. You can also find information on showtimes, CDs, DVDs, online rental, online free watching.